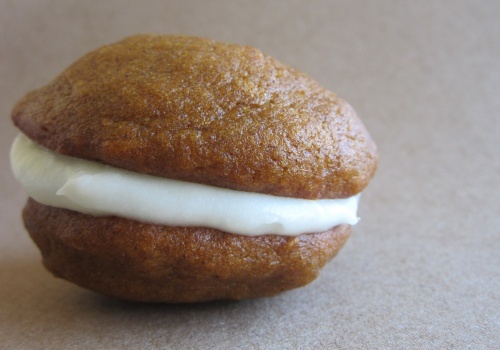 So any dessert involving cream cheese is sure to top my favorites list, but these delicious whoopie pies take the cake. These are perfect to take you through the tail end of the year, with a lovely pumpkin flavor that makes you want to curl up in a blanket by the fire (though I am not going to pretend for one second that I don’t make these year round). This is my coworkers’ favorite sweet by far and if you decide to try these simple treats you’ll soon see why. Author Kyra KetnickPosted on March 11, 2011 February 1, 2019 Categories dessert, whoopie piesLeave a comment on hello pumpkin! I can warn you. I can tell you all about staying up through the night. About rushing to the store over and over. How I threw out bowl after bowl of ingredients. It won’t matter. You will see a picture of these cookies, look over the recipe and declare “they look delicious” and “it doesn’t sound that hard”. Just as I did. I find it highly coincidental that the name of these cookies, titled after a French actress known for her role in Hamlet, includes the word “hard”. Google these cookies and you will find that there is a society of people who have suffered and for the most part survived these cookies, and their attempts to better instruct and therefore save others who may decide to make these cookies. 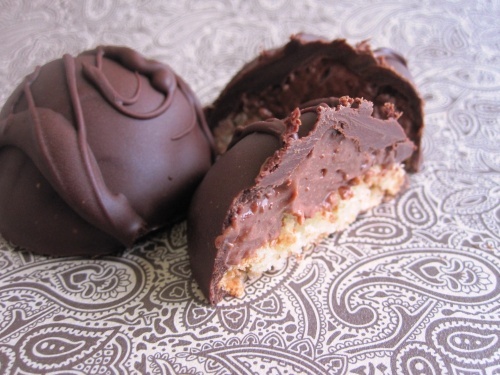 They are wonderfully delicious and quite beautiful little chocolate confections. I still don’t understand where things go wrong, but amazingly they did for me. Over and over, which was an unfortunate waste of ingredients. BUT if you dare, the end product is impressive. My best advice is to follow the recipe down to the commas and may you be blessed with a successful first attempt. Good Luck! 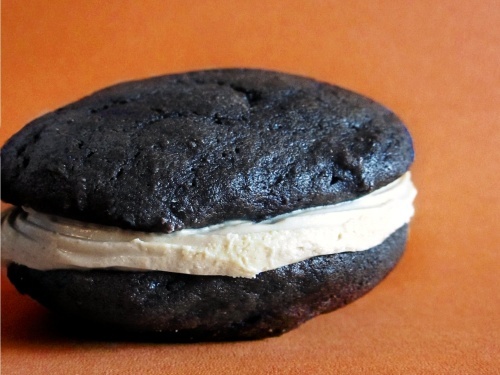 Author Kyra KetnickPosted on January 14, 2011 February 1, 2019 Categories dessert, whoopie piesLeave a comment on whoopie! My husband and I love to try new recipes and learn new techniques; the possibilities are endless. But there will always be those favorite recipes that stay near and dear to our hearts. 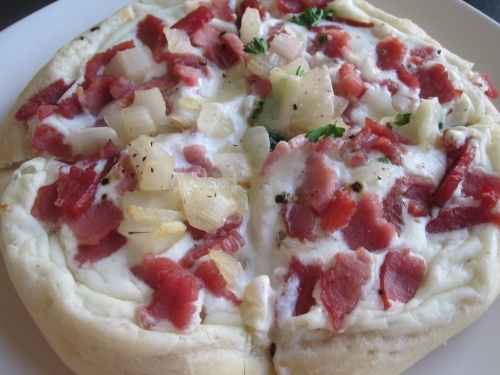 This amazing recipe typically is on our list when we aren’t sure what to make. I daresay that occasionally a month or two will go by when we forget about our old friend, which once realized is always followed by a quick trip to the grocery store. 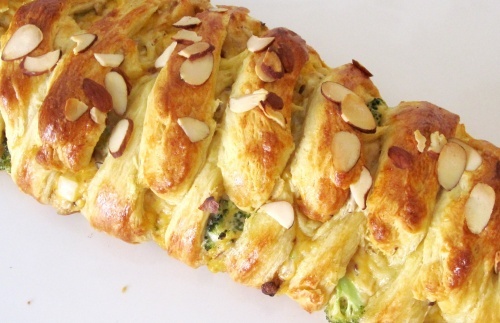 The ingredients in this braid meld together into creamy, cheesy goodness wrapped up in hot, flaky croissant. It’s a great recipe that is very pretty and extremely versatile, so give it a shot and make it your own.